Blog > Competitions > Create a Collection and you could win it all! Create a Collection and you could win it all! To celebrate the launch of the new Collections feature on the LoveCrochet website, we’re giving away a Collection to two lucky winners! Read on to find out how you can win. 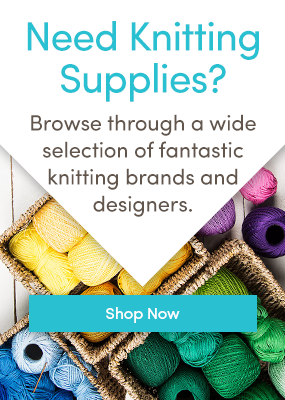 Have you ever been browsing the LoveKnitting site and thought “I’d love to save a bunch of these beautiful patterns together so I can refer back to them for ideas?” Well now you can! Collections allow you to build folders where you can save any patterns, yarns, or accessories. So you can have a folder for shawl patterns, one for merino wool yarns, another for circular needles, and on and on. You imagination is the limit! This is ideal for creating wishlists, saving patterns that you want to crochet as soon as you have the time, or just making Collections for inspiration. Get started on your Collections now, and good luck! Last updated: August 3rd, 2017. 20 Responses to Create a Collection and you could win it all! I love, Love knitting. Alpaca is my favorite yarn. Love Knitting has a great variety of colors and yarn weights. I’m going to try. I’ve been knitting since I was 6 years old and never won anything but I love to knit and crochet. I am learning I hope I am not to late Finally taking the time I am 75 year young. Your yarns are the best! Truly lovely, and I can find something for everyone. Well i guess my phone is an android because i still cannot get the app. I have no skills with computers but i do know how to download an app so i guess it is still not available to me. I hope it will be available to me soon because i do think this would be verry helpful for someone like me who cannot remember anything! I love Bernat Baby Softee. Use it all the time to make blankets for local hospital’s breavement packages. Love-love-loving the new Collections part of the app. Been busy sorting all my library and adding some new categories. Love Knitting is a wonderful site. Thank you for sharing the app with all of us. Me, like a lot of others can’t do this, my computer is too old and I can’t update it, can’t even watch the video ! ! Could chuck my OH off his computer to try I suppose, maybe when he is in his workshop. i will try this always looking for new patterns to try and you can never have too much yarn. Adored working with Rowan hand painted Arran loved it ! My daughter in law likes Scandinavian inspired clothes and she has just given birth to a tiny little girl so my needles are busy ! I have managed to find the OGE designs patterns very easy to work with very clear and concise and team these patterns with divine yarns then use knit pro interconnecting needles and relax you will do a good job ! So much fun! Four collections and counting! I wish I could organize each collection, to match yarn with patterns…. Thanks for this, LoveKnitting! This is a great idea. I had fun. Keep up the good work – love the butterscotch candy in my yarn bag.